And it is in order to draw our attention to this final phase of the history of the Church that Heaven produced the largest miracle of the past 2,000 years. Paradoxically, the current Church authorities are totally silent on this event. 1. 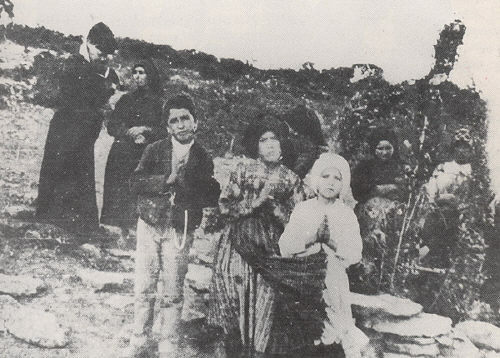 It is the Portuguese word for the plot of land where the Fatima apparitions took place. 2. Interview of Sr. Lucy with Fr. Fuentès on Dec. 26, 1957, reproduced in the Messagero del Cuore di Maria, no. 8-9, Aug-Sept 1961. 3. Interview of Sr. Lucy with Fr. Fuentès, (ibid.). 4. With Pope Francis, we have descended even lower. On October 13, 2013, the Immaculate Heart of Mary was not even named in the consecration formula: the Pope consecrated « mankind » […] to « the Virgin of Fatima » (ORLF 42, Thursday, Oct. 17, 2013, p. 8-9). 5. France, Saint-Parres-lès-Vaudes, CRC, published in English by : Immaculate Heart Publications, Box 1028, Buffalo, New York, USA 14205, and : 452 Kraft Road, Fort Erie, Ontario, 5. 5. 5. Canada L2A 4M7 ; volume 1 : science and the facts (1989), volume 2 : the secret and the Church (1989), volume 3 : the third secret (1990). One cannot necessarily endorse all the pronouncements given in the works of the French Contre Réforme Catholique, but on the whole it is a most worthy collection of documents for historians. 6. Fr. Calmel O.P., Le Cœur immaculé de Marie et la paix du monde », Itinéraires 38, Dec. 1959, p. 24. 7. We must re-read the encyclical Divini Redemptoris of Pope Pius XI on the atheistic Communism, March 19, 1937. 8. The words of Our Lord can be found in a letter of Sr. Lucy cited by Fr. Alonso and reproduced by Br. 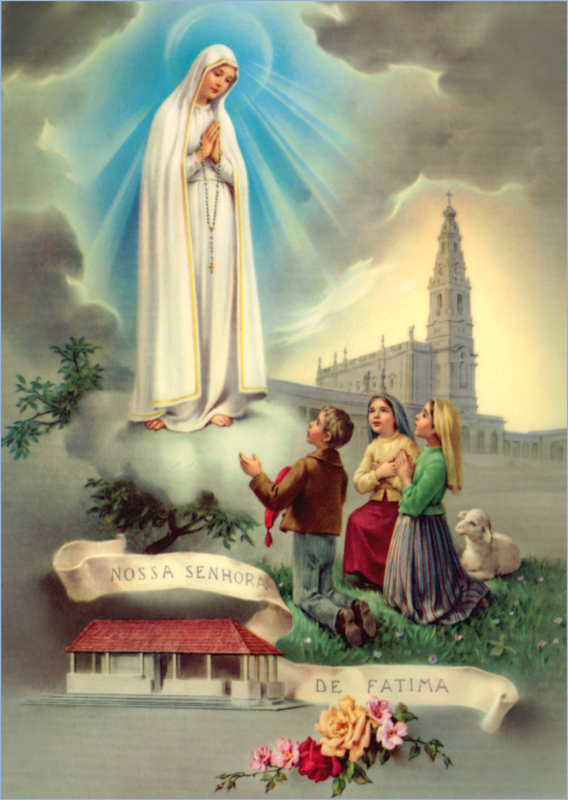 Michel of the Holy Trinity in The Whole Truth about Fatima, t. 2, p. 546. 9. Fatima : notre espérance, Le Sel de la terre 53, summer 2005, p. 63. The article written by Dominicus, « Jean-Paul II a-t-il consacré la Russie ? » was published as a booklet by Editions du Sel under the title La Russie se convertira. The references to the Communist infiltration of the Church starting in the reign of Pope Pius XI may be found on page 13. 10. See the publication Itinéraires 79, p. 55-57; see also L’affaire Pax en France, a supplement to Itinéraires 86. 11. Itinéraires 88, p. 14-18. 12. Dignitatis Humanae, Dec. 7, 1965. 13. Declaration on the relations of the Church with non-Christian religions, Oct. 28, 1965. 14. Unitatis Redintegratio, Nov. 21, 1964. 15. Chapels, schools, etc., were founded by the heroic resistance of Abp Lefebvre towards the apostasy of the conciliar church. All this is endangered today by the policy of Bishop Fellay seeking an agreement with modernist Rome. 16. Here it is a question of the occult powers which oppress us today. God will replace them with the Reign of Christ the King of all nations. 17. 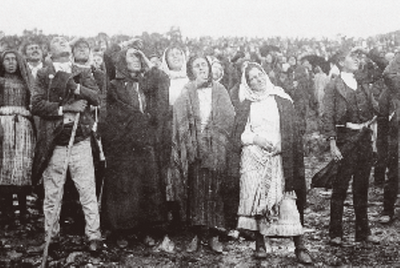 This promise given by Our Lord is no doubt in keeping with the one given by Our Lady at Fatima on July 13, 1917: « In the end, my Immaculate Heart will triumph ». 18. Jean Vaquie, La Bataille préliminaire, Paris, Action Familiale et Scolaire (31 rue Rennequin, 75017), p. 1-2. The entire booklet should be read. It is supplemented by Réflexions sur les ennemis et la manœuvre, by the same author, available from DPF (Diffusion de la Pensée Française). 19. P. R-Th Calmel O.P., Brève apologie pour l’Église de toujours, Maule, Difralivre, 1987, p. 50. 20. Remarks made by Sr. Lucy of Fatima and noted by Mr. John Haffert, one of the main founders of the Blue Army, collected in 1946 and published in his work Fatima, a Worldwide Apostolat, edited in France by Tequi in 1984, p. 17.